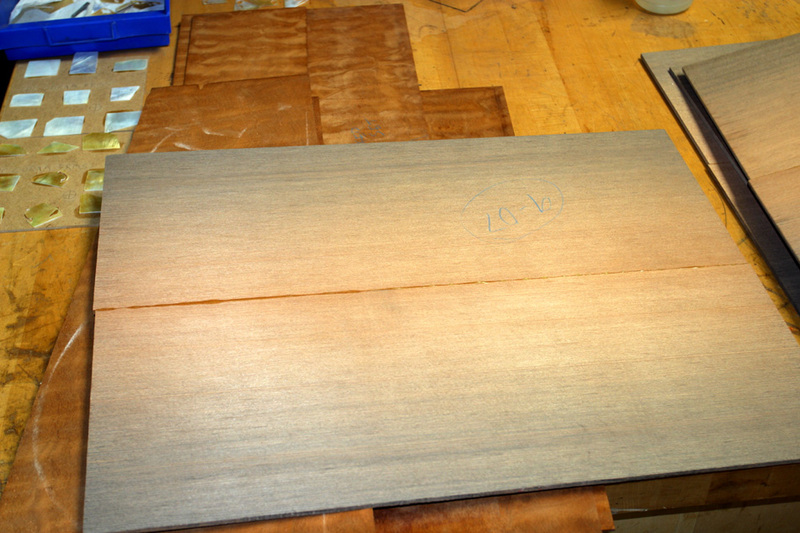 The following are quick photographs of guitars (or parts of a guitar) not pictured in the photo gallery. Either I do not have time to take detailed pictures or this is the middle of summer when using photo lights for several hours would be unbearable. Rather than not having any pictures at all, these pictures were taken with a flash and may have reflections. Feel free to click on the small pictures to see larger pictures. On April 25, 2008, I had the opportunity to play a most outstanding guitar built by Kevin Ryan that he calls "The Dragonfly." 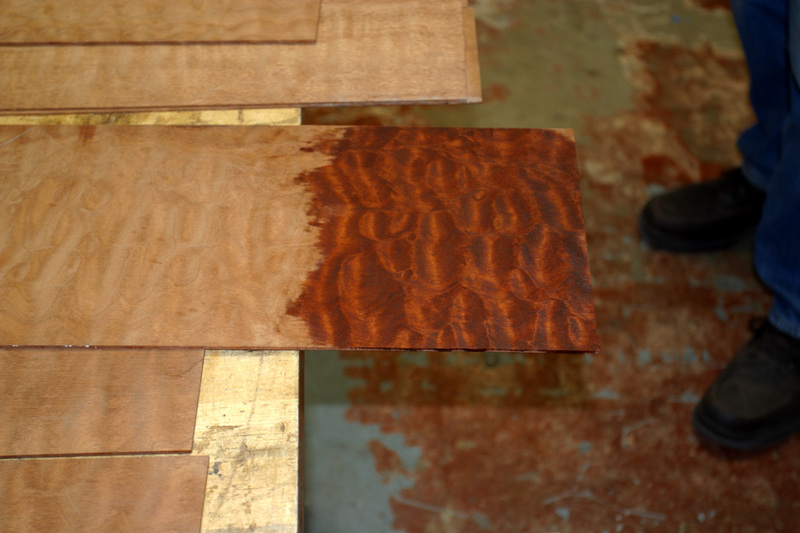 I was so moved by the guitar I decided to set aside a sister set of Quilted Mahogany from "The Tree." 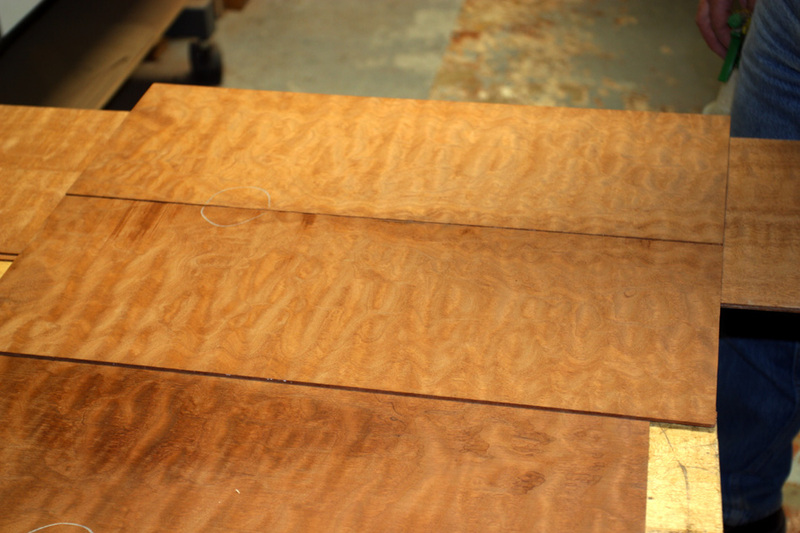 I also set aside a set of Sinker Redwood. Other specifications of the guitar have not been decided, but it may be a Nightingale. Web-Counterindicates visits since January 96.